Specifically developed for foodservice preparation. 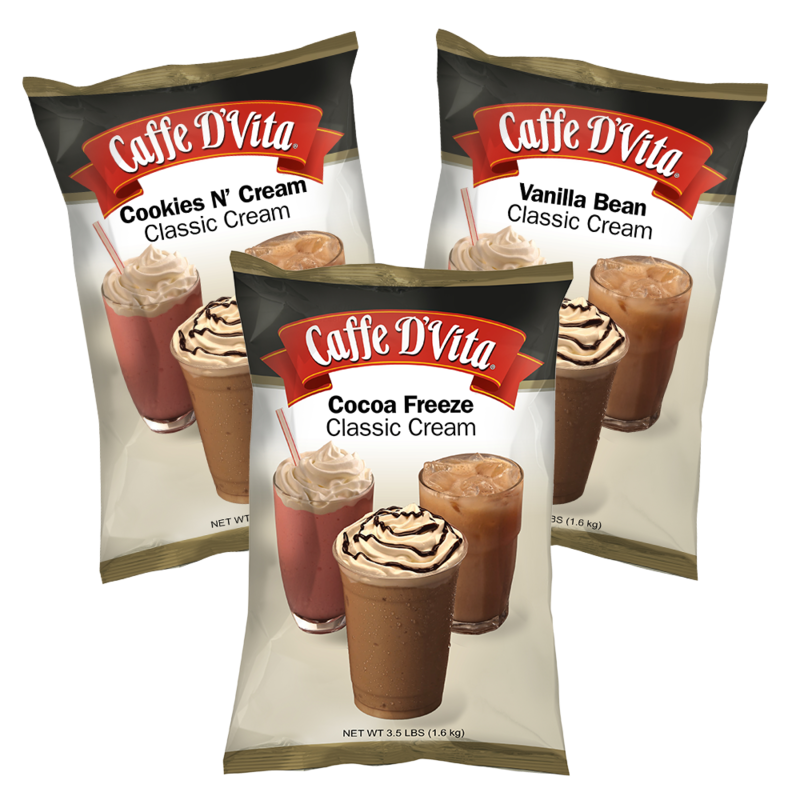 Just add water, ice and Caffe D’Vita Classic Cream mix to create a perfect drink every time. Because of their proven popularity, there’s no need for expensive ‘add ins’ and flavorings – it’s all in the mix!